For instance, one pal, Craig (Michael Sheen), is a best-selling author who worked in the White House and now teaches at Harvard. Then there's Billy (Jemaine Clement) who's already retired and shacked up on Maui with a couple of girlfriends after selling his hi-tech company for a fortune. Another, Jason (Luke Wilson), is a filthy-rich, hedge fund manager with his own airplane. And Nick (writer/director Mike White) is a famous Hollywood director whose home was just featured on the cover of Architectural Digest. Consequently, rather than count his blessings, Brad considers himself a failure. Furthermore, he has the nerve to not only blame his supportive wife (Jenna Fischer) for his lack of ambition, but to ask her how much they stand to inherit from her parents' estate. Disappointed with her response, he shrugs,. 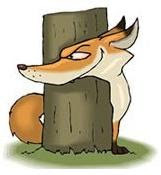 "We've plateaued," ostensibly resigning himself to a mundane existence. " This is it." 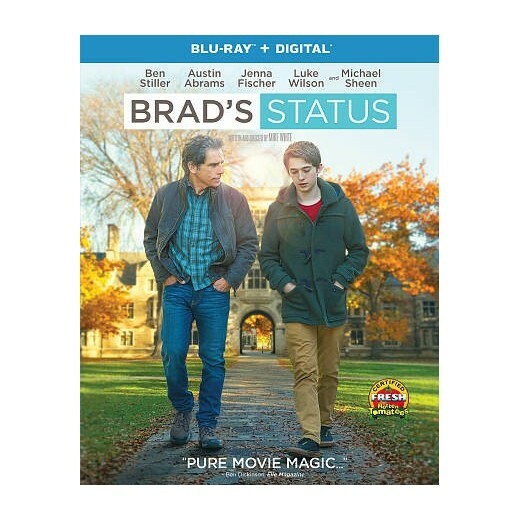 Brad's existential angst is further amplified when he takes their college-bound son (Austin Abrams) on a tour of schools in the Boston area. For being back in Beantown serves as reminder that he was forced to settle for Tufts after being rejected by the Ivies. Troy's prospects are much better, since he's a musical prodigy with a good chance of being accepted by both Harvard and Yale. However, that fact doesn't shake his father out of the doldrums, especially after they cross paths with Craig. During the brief encounter, Brad learns that he was the only member of the old gang not invited to Nick's recent wedding. Thus unfolds Brad's Status, a midlife crisis dramedy, if I ever saw one. Ben Stiller is quite convincing as the jealous title character. The only problem is that it's impossible to empathize with the suffering of a whiny ingrate obviously benefiting from many of the privileges associated with being a white male. A morality play warning about the folly of trying to keep up with Joneses, especially where the Joneses are all members of America's wealthiest 1%. Blu-ray extras: A Look at Ben Stiller as Brad; A Culture of Comparing Ourselves; Mike White on Directing His Own Script; and The Story of Brad's Status.